Welcome to Highland Park Today. We sincerely hope that you enjoy this newly rebranded publication. Formerly six00threefive, Highland Park Today launches with a new focus on the vibrant community of Highland Park. What a better time to start anew than with our Holiday premiere. With a focus on the features that matter most, we have crafted a new and engaging publication that will provide an in-depth look at this amazing community. 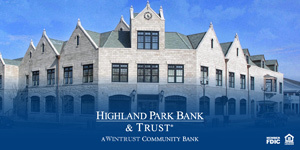 Highland Park Today provides features, articles and local happenings, as well as a focused and personal read for Highland Park and the North Shore. Our Mission is simple. We want to inspire readers in making a positive impact in their lives and on those around them. Through its news and stories, the magazine encourages and enables people to improve relationships and engage in dialogue wherever they are: in business or schools, in their families, neighborhoods and communities. We truly believe this and are confident that you will feel the same after experiencing our premiere issue of Highland Park Today.